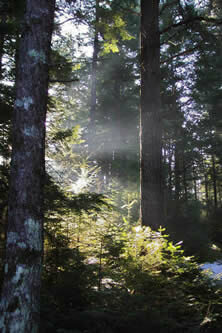 Description: This volunteer program invites Maine citizens and seasonal residents to "Take a Stand for Hemlocks" by adopting a hemlock stand and surveying it annually for the presence of hemlock woolly adelgid. 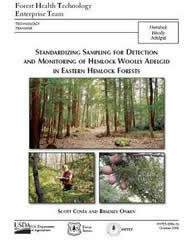 Participants are trained to identify hemlock woolly adelgid and to apply the detection and monitoring survey methods developed by Scott Costa at the University of Vermont. Mail data sheets to: Colleen Teerling, MFS Insect and Disease Lab, 50 Hospital Street, Augusta, ME 04330 or (207) 287-3096.